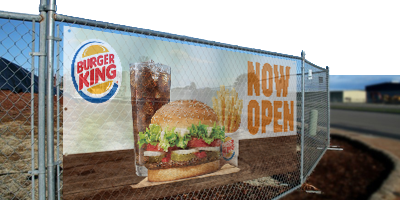 Out-of-home advertising is advertising that reaches the consumers while they are outside their homes. 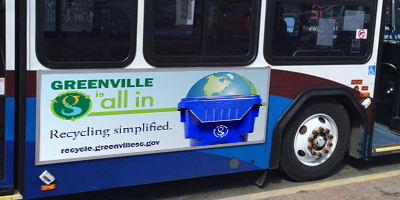 Out-of-home advertising is focused on marketing to consumers when they are "on the go" in public places, in transit, waiting, and/or in specific commercial locations. 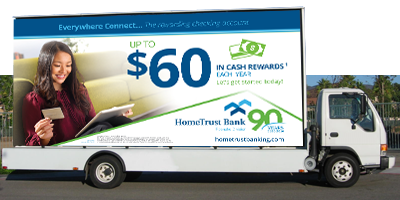 Mobile billboard (truck-mounted) displays are poster panels affixed to aerodynamically-designed vehicles.They are used to reach motorists and pedestrians in virtually any locale in metropolitan markets. Mobility enables exposure at any time or place the advertiser may choose. These can go places other outdoor advertising can't. 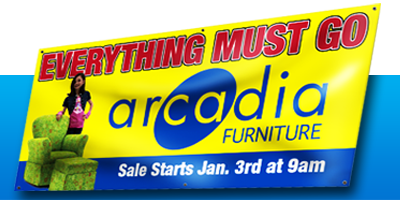 Banners are a good solution for making a big statement in a temporary application. They are easy to install and take down making them great for advertising upcoming events or promoting new products. 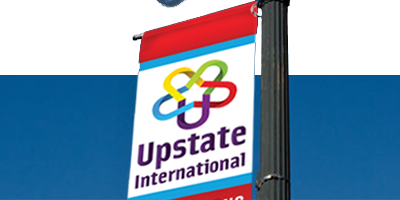 Let us help you stand out with full color, UV and weather resistant digitally printed banners. King bus displays are an exterior display that may appear on either side of a bus, often below the rider’s windows and between the tire wells. King bus displays are used to reach pedestrians and vehicular traffic in metro areas. This form of mobile advertising generates high reach, frequency and impressions by covering a large geographic and demographic spread. King bus advertising displays are typically 30″ h x 144″ w, but exact specs may change per market. Queen bus displays are an exterior mobile display that often appears on the curb side of the bus. Queen bus displays are seen under the rider’s windows and between the tire wells. This mobile media signage is smaller than the average king bus display, but still makes a bold statement with its repeat exposure as the bus travels its planned route throughout your desired market. 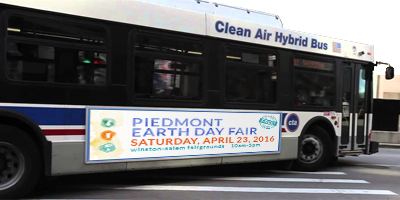 This form of transit advertising is used to reach pedestrians and vehicular traffic in metro areas. Queen bus displays are typically 30″ h x 108″ w & 30″ h x 88″ w, but exact specs may change per market.